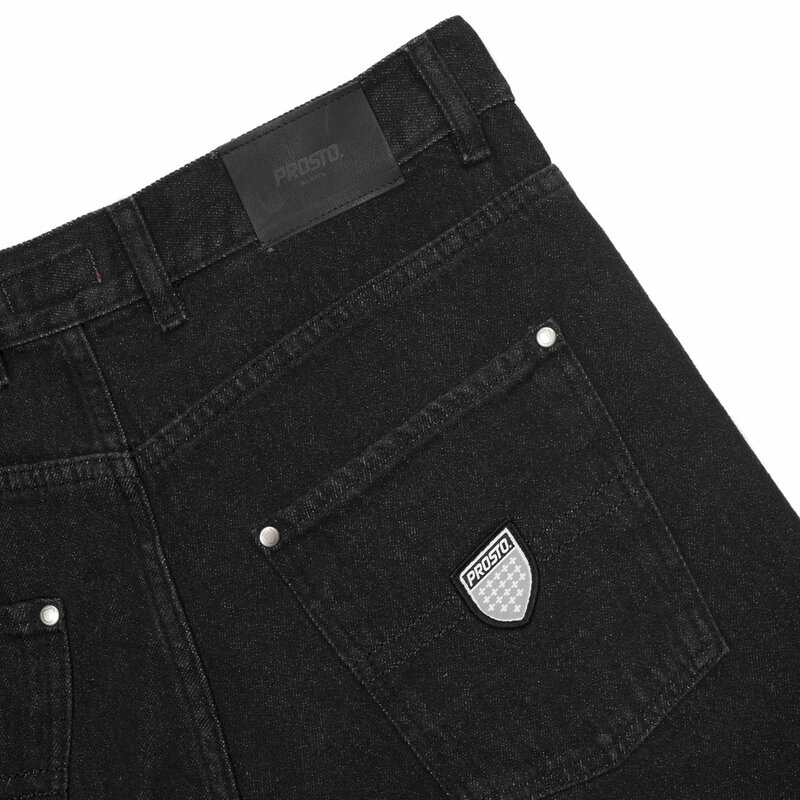 Legendary Flavour jean pants featuring branded metal button and YKK zipper. 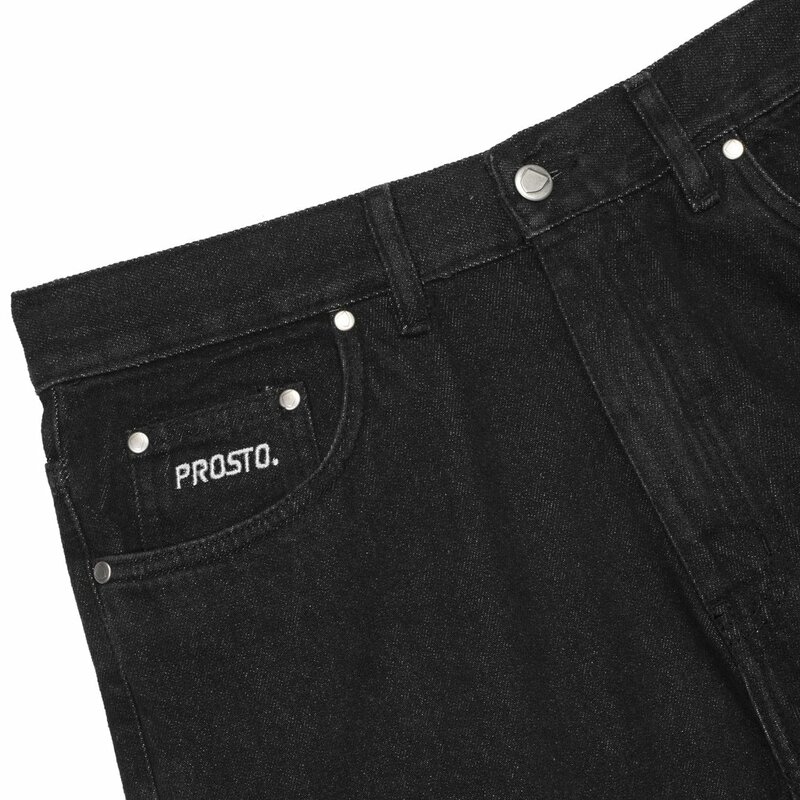 Prosto embroidered logo on coin pocket. 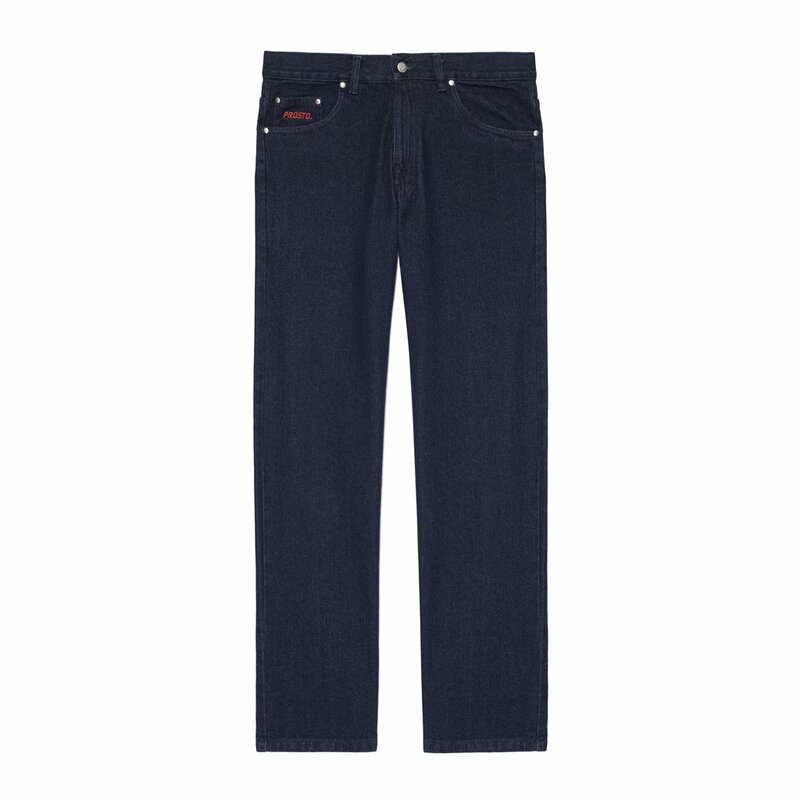 With jacquard shield-shaped applique on back pocket. 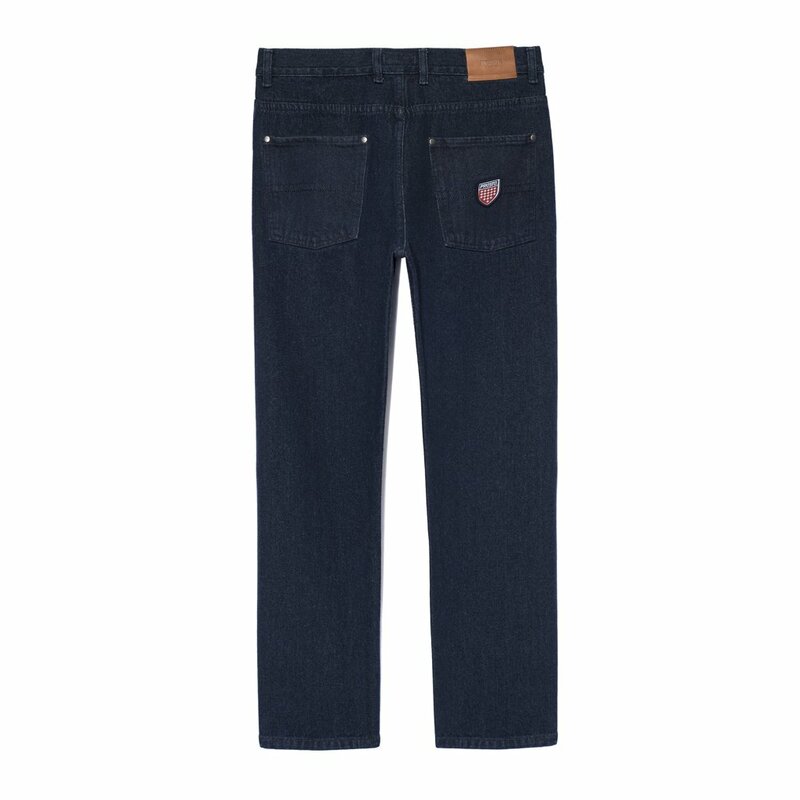 This product comes from the FW18 collection.